Samsung Galaxy Mega 2 is dual SIM, 4G supported Android Smartphone which comes with 6-inch HD display. 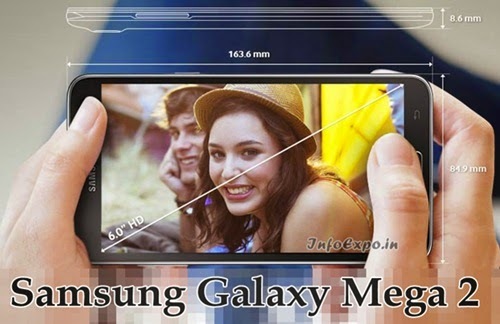 Galaxy Mega 2 is powered by 1.5GHz Quad Core processor along with 1.5GB RAM. Samsung Galaxy Mega 2 is loaded with Android KitKat 4.4.4.